FeedBurner Awareness API is dead! It’s dead, despite the assurances of the development team of Google and related to this, the hopes of millions of bloggers around the world. This means that the number of subscribers to FeedBurner we will not see in any way. And Simple Counters no exception. A pity! Thanks to the user from India – he prompted a very constructive idea. And the idea is that – replace FeedBurner counter to Facebook counter. 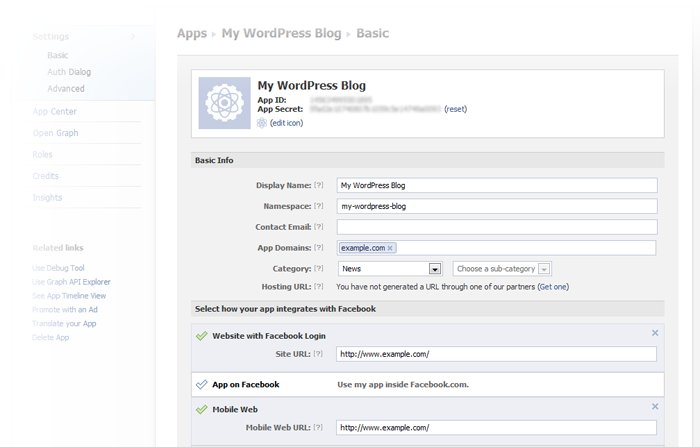 This idea I liked, and some time to tinker with the Facebook SDK, I was able to revive the plugin. 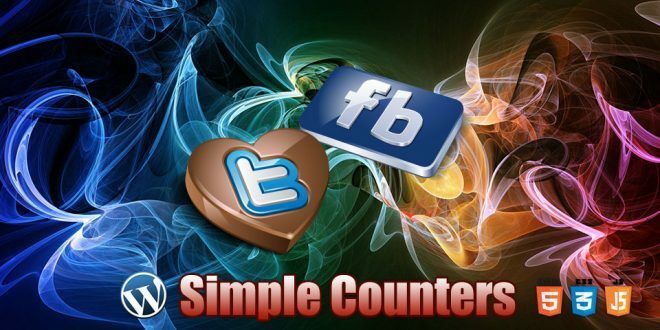 As you already understand, the top button changed – now instead FeedBurner counter will display Facebook counter. Setting counter Facebook is more difficult than FeedBurner settings, so if you intend to use this plugin, please pay careful attention to the information below. Your data in Facebook account are extensive and confidential, so access to them directly is not possible in principle. However, you can create a so-called Facebook App. 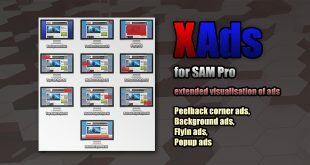 This application can be a kind of liaison between the plugin and your account on Facebook. If you are already using any plugin to communicate with Facebook, it is likely that you already have such an application, link your blog to your account. If not, you have to create it. It’s not complicated. 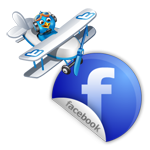 Visit the site for Facebook developers and enter your Facebook account information to login. Click on the “Create New App”. Fill in the fields and click “Continue”. Fill in the “App Domains” field with your blog’s domain name. Fill in “Website” and “Mobile Web” fields with full URL of your blog. Save settings! Save the parameters of the plugin. This will allow plugin to connect to your account to obtain the necessary data for further customization. Plugin will ask your permission to connect your application to your account and permission to manage pages. Allow! And do not worry about the permission to manage pages – this permission is necessary to get a list of your fan pages on Facebook (details below). Unfortunately, clear way to know fan page ID is difficult to even for registered user. Once the plugin will receive all necessary information, including the user ID (your ID on Facebook), you will be prompted again to save the settings of plugin. Once you save the settings, the plugin will be ready to show the number of your friends on Facebook. Perhaps this is exactly what you need. If you have not fan page on Facebook read this article. Or go here to create your fan page. © 2012, minimus. All rights reserved. Next StudioPress Child Themes. Hacks and Tricks.